The United States and Japan have announced they will begin bilateral trade discussions in late January 2019. Previously, Japan had insisted on a multi-lateral approach asking the US to rejoin the TPP (now CPTPP) group of 10 countries, which the US withdrew from. Hopefully, these new discussions will lead to a future agreement between the US and Japan which will reduce tariffs on US agricultural goods including dry beans. The Comprehensive and Progressive Trans Pacific Partnership (CPTPP) ratified earlier this year by signatory countries came into effect on December 30, 2018. 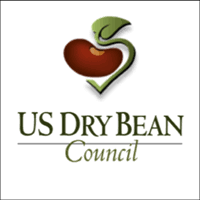 Duties on most dry bean classes from signatory countries imported under the government “pooled quota” system will fall from 10% to zero. This will give an advantage to signatory countries. The tariffs on dry beans from the US and other non-signatory nations such as China (adzuki beans) and Myanmar (butter beans) will remain at 10%, the levels where they have been for the past several decades. The tariff on chickpeas (garbanzos) which does not fall under the pooled quota will be reduced from current levels of 8.5% to zero for signatory countries of the CPTPP effective December 30, 2018. It will be important for the US to encourage the reduction of tariffs on US dry beans to match those of the CPTPP in the upcoming bilateral talks in order to maintain a level playing field. It was also announced that Japan and the EU will begin implementing the new EU-Japan FTA on February 1, 2019 following the recent ratification by the EU Parliament. Japan already officially ratified the agreement. Bottom line, a trade agreement with Japan as critical as the U.S. will be at a competitive disadvantage for agricultural market share with other CPTPP countries.